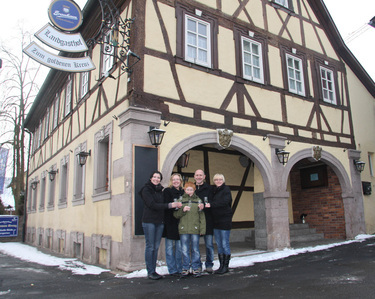 and welcome to our historic country inn, or Landgasthof, dating from the year 1733 (named "zum Goldenen Kreuz" in 1737) and sitting in the heart of Franconia in Bavaria! Our Landgasthof is composed of several rooms that can accommodate almost any occasion. Regardless of whether you are passing through Franconia or visiting it, you cannot pass up a visit to the historic Landgasthof zum Goldenen Kreuz! 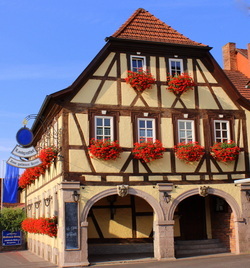 We will treat your palate to an unforgettable experience with our delightful Franconian cuisine, local wines and regional beers as you relax in our beautiful beer garden, cozy restaurant or rustic vaulted cellar. 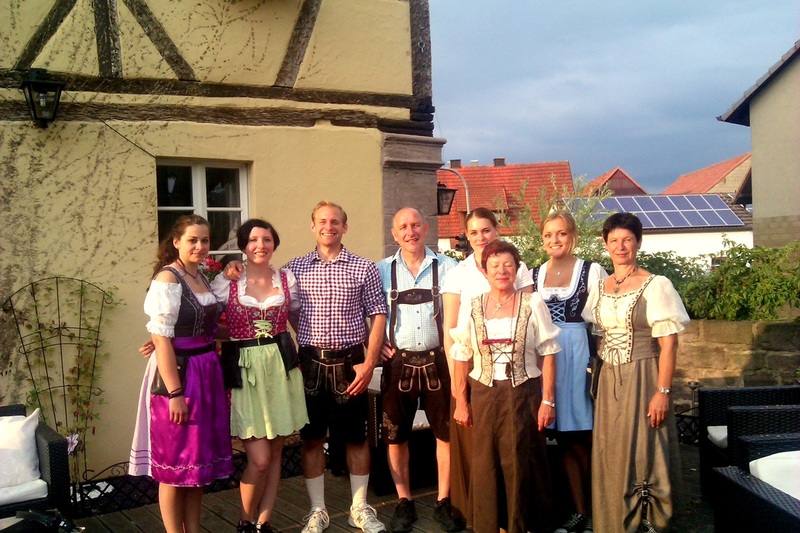 We look forward to your visit and hope to see you soon in beautiful Franconia! How's the weather in the beer garden? Für unsere Website auf Deutsch klicken Sie hier! 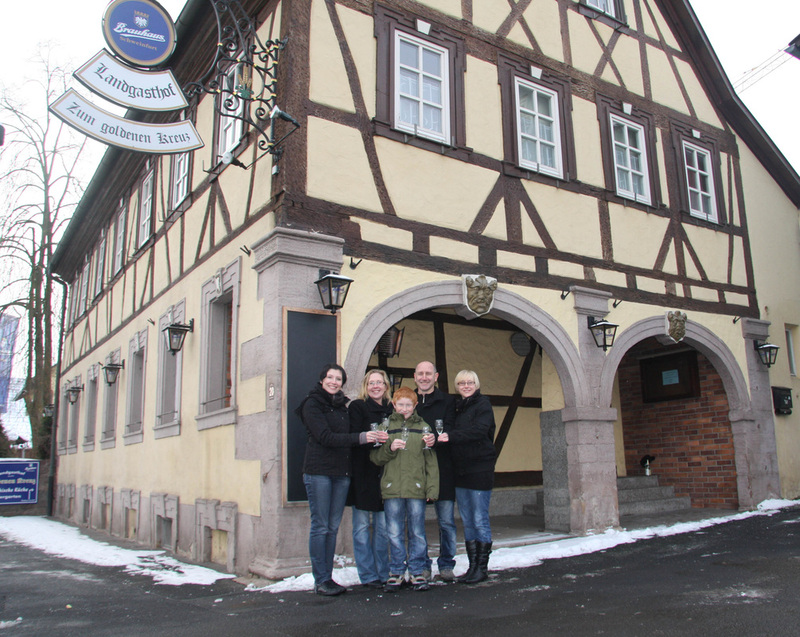 ©2013-2014 Landgasthof "zum Goldenen Kreuz"